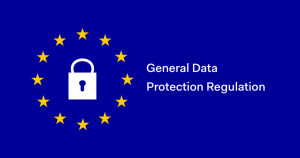 This website, www.sovereignhome.co.uk complies with the DPA (Data Protection Act 1998) and the GDPR (General Data Protection Regulation), effective from 25th May 2018. The data from these forms are emailed to the address listed above and also stored on the website server of www.google.com most cases dating back to when each form was created. www.google.com never access or share this data other than by request from Sovereign Home Improvements Limited. By completing this contact form you agree to Sovereign Home Improvements Limited contacting you about Sovereign Home Improvement services. You will not be added to any mailing lists and will only be contacted by Sovereign Home Improvements Limited (aka Matthew Adair or Lewis Adair) in relation to your enquiry. Sovereign Home Improvements Limited does not engage in email marketing specific to our services. Sovereign Home Improvements Limited creates a video and images whilst carrying out projects for customers and do not share these with anyone apart from via our own website and social media feeds. If you do not wish these images to be shown on the website or in any Sovereign Home Improvements Limited marketing materials, please let us know and we will immediately delete them from the website. If you wish to request for your personal images deleted from the website please email info@sovereignhome.co.uk and we will delete them with immediate effect. Customer photos/images/videoes are safely stored in our offices under lock and key in the office, with the main office is alarmed. We do occasionally store customer data on our servers supplied by Google Drive. Sovereign Home Improvements Limited will use Youtube & Facebook, Twitter, G+ for sharing our video and/or photos. Sovereign Home Improvements Limited will never photograph an individual as a means of unique identification or authentication unless consensually contracted to do so. In terms of explicit GDPR compliance, Sovereign Home Improvements Limited customers are photographed within the parameters of GDPR legislation on the basis of ‘legitimate interests’. The taking of photographs of those attending our projects, when viewed as a form of processing personal data, is necessary for the legitimate interests of Sovereign Home Improvements Limited as a building business, unless there is a good reason to protect a given individual’s personal data which overrides those legitimate interests. We may display any photographs & videos to promote Sovereign Home Improvements Limited. On Sovereign Home Improvement website and blog, on social media, on building blogs, on building photography related websites (e.g. 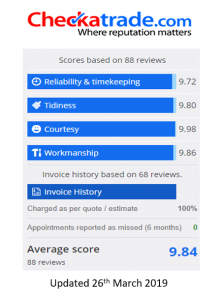 CheckATrade.com), in exhibitions, in advertising, brochures, magazine articles and other such material, providing that the images used are used lawfully and without damage to Sovereign Home Improvements Limited customers. We collect personal data about our prospective, current and former employees (including freelance workers) as follows: basic identification information, such as your name, title, position, professional history, experience, and contact details. This data is deleted as soon as the member of staff has left the company. Alternatively, you can email us info@sovereignhome.co.uk and we will remove ALL your data and any personal information from our files within 72 hours of receiving your request. With any legislation, there are always loopholes but you can be assured that everyone at Sovereign Home Improvements Limited takes the use of your personal data very seriously and as such, all the appropriate steps have been taken in order to protect your personal information.